Through many years of experience with renowned plant manufacturers in the area of flue gas desulphurization (FGD) plants HEINKEL is in a position to ensure smooth, reliable project handling on schedule. Worldwide plaster from flue gas desulphurisation plants is dewatered in power plants using HEINKEL centrifuges. 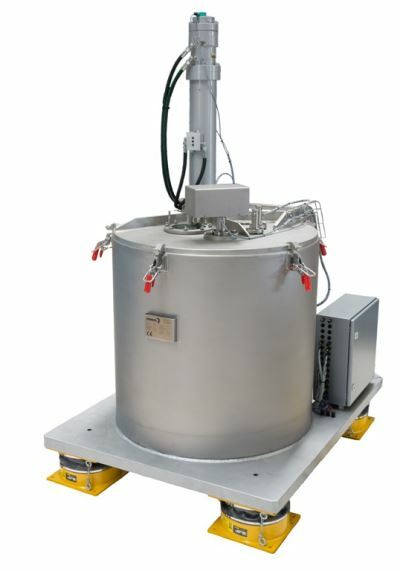 The broad range of plaster centrifuges with different basket sizes allows for optimum adaptation to changing product properties and throughputs. 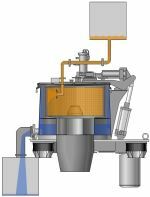 as a result of the centrifugal force, the washing fluid penetrates the filter cake, displaces the still sticking suspension fluid and leaves the basket in the same way as the suspension fluid during filling. 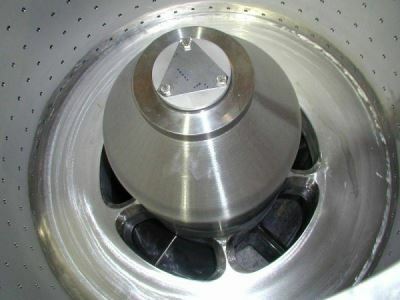 Washing can be carried out at the same or higher speed than the filling process. In order to separate the fluid from the filter cake the basket is generally accelerated to the maximum allowable speed and kept constant at this speed. 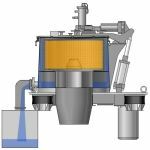 Kinetics of the hydro-extraction process depend on the solids and fluid parameters, the height of the filter cake and, naturally, the centrifugal force acting upon the fluid that is to be separated. After hydro-extraction and with the basket rotating, the filter cake is peeled layer by layer by means of a discharge device. This is done by inserting a short peeling knife horizontally below the basket rim into the filter cake close to the filter medium. Then, the peeling knife is slowly moved downwards, during which it removes the filter cake except for a residual layer. 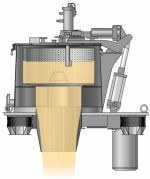 The scraper speed must be selected so the solids can fall freely through the opening in the basket floor into a hopper below the centrifuge.